Eating well is important for all ages, but especially for older individuals who need to maintain their strength and energy, while often managing chronic diseases like diabetes and high blood pressure. 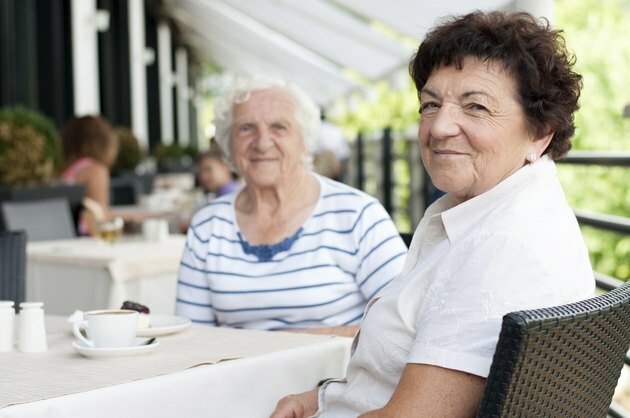 Because calorie needs decrease with age, but nutrient needs remain the same or even increase, it's essential that seniors pack as much nutrition into each meal as possible. Planning quick and nutritious meals that are high in protein, vitamins and minerals can make healthy eating easy. Breakfast foods are often not only quick and easy to prepare, but eating a well-balanced meal in the morning is a great way to power up and start the day on a healthy note. To ensure that you get a variety of nutrients, have a good source of protein like eggs, cottage cheese or Greek yogurt, plus a high-fiber whole grain like whole wheat bread, shredded wheat cereal or oatmeal. Dairy foods, like milk or yogurt, also provide the extra calcium that you need for strong bones. Include a serving of fruit at breakfast for extra vitamins and nutrients that can boost your immune system. Keep it simple by using canned fruit packed in water, or frozen berries that you can thaw in the microwave or add to oatmeal. Lunch is a great opportunity to focus on vegetables. Whether they're raw, leftovers from dinner, or frozen vegetables you heat in the microwave, vegetables provide lots of nutrients and fiber. Try a salad with some tuna, beans or chopped egg on top for low fat protein. Or, toss leftover cooked vegetables and brown rice together with a sprinkle of feta cheese and some vinaigrette dressing for a fast and tasty lunch. If your appetite is small and you're not big on lunch, substitute a healthy snack instead. Fruit or vegetables with cottage cheese, a slice of whole grain bread with peanut butter and sliced banana, or an English muffin with a slice of tomato and cheese are all protein-packed snacks. Whether you have a meal or a snack, top it off with a glass of low fat milk, to get your calcium and vitamin D.
When making dinner, cook extra for a second meal. 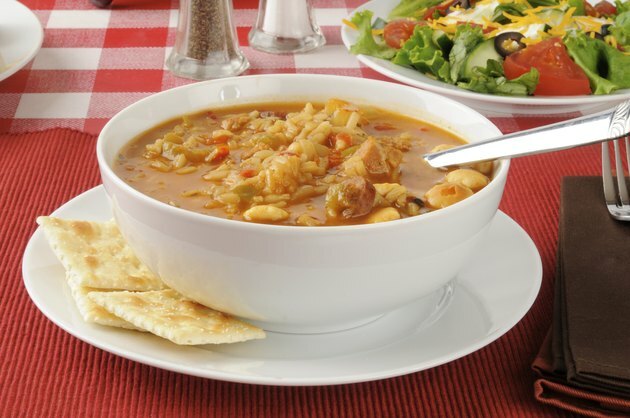 Soups and stews generally taste even better the next day, or you can freeze them for another day. Mix leftover rice with black beans, salsa and some low-fat cheese for an easy tortilla filling. Or, add leftover vegetables and chicken to canned lower sodium chicken broth for a quick and satisfying soup. If you don't have the energy to cook a hot meal for dinner or you aren't hungry in the evening, make lunch your larger meal and have a light dinner instead. A turkey, tuna or egg salad sandwich with lettuce and tomato on whole wheat bread is quick and easy, but still nutritious. Top it off with some yogurt for a healthy, calcium-rich dessert. 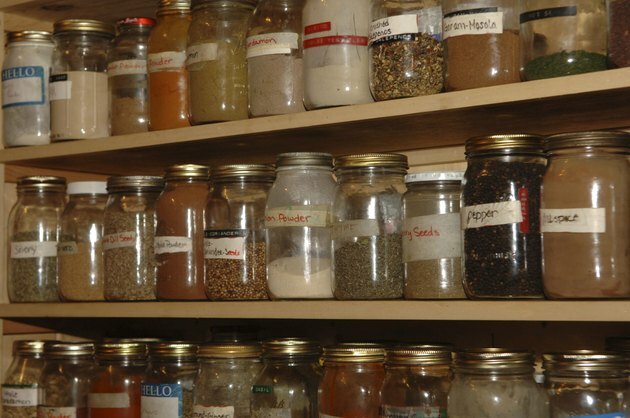 To make it easier to eat healthy balanced meals, keep your kitchen stocked with non-perishable essentials. Frozen fruits and vegetables with no added sugar or salt are just as healthy as fresh, so keep a variety of these on hand. 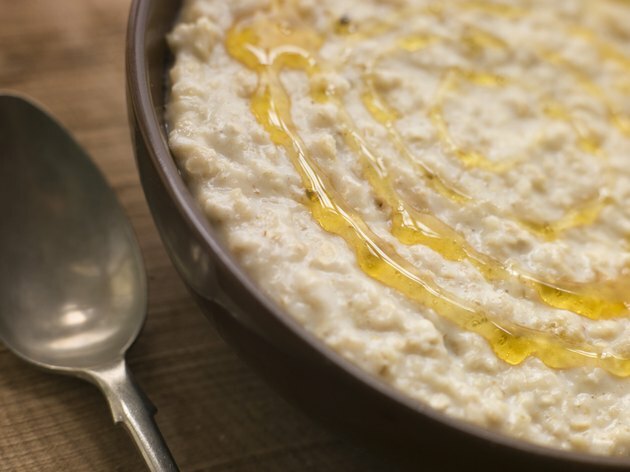 Hot and cold cereals and whole grains, like brown rice and quinoa, will stay fresh if stored in airtight containers. 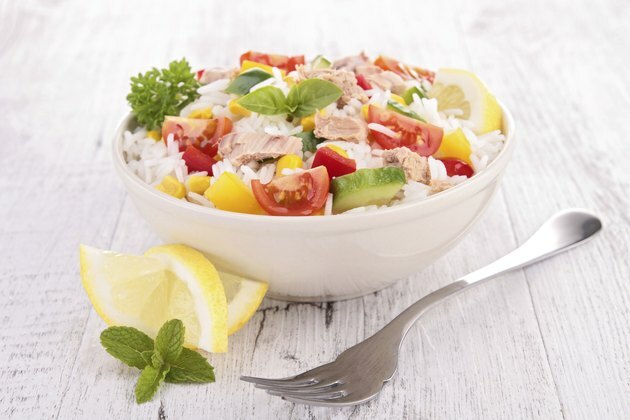 Canned tuna, salmon or beans are great non-perishable proteins.